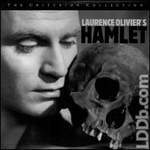 In the opening scene of Hamlet (1948), Laurence Olivier's voice-over describes the play as "the tragedy of a man who couldn't make up his mind." But Olivier's screen adaptation is considerably more thoughtful and complex than this thesis would suggest. Drawing on his experience playing the prince on stage at Elsinore in 1937, the legendary thespian provides the film with the patina of greatness and shows how the constitution of the formerly cheerful prince weakens increasingly under the burden of his own thoughts and inability to accept his mother's hasty marriage to uncle Claudius (Basil Sydney). As Ophelia, Jean Simmons captures the character's early spirit better than her gradual disintegration. Purists may bemoan the loss of Fortinbras, Rosencrantz, and Guildenstern, but these choices allow Olivier to focus more squarely on Hamlet's plight. Reggae music serves as both soundtrack and plot element in THE HARDER THEY COME, a groundbreaking classic starring music legend Jimmy Cliff. Such hits as "You Can Get It If You Really Want," "Many Rivers to Cross," and "Sitting in Limbo," punctuate the film's action, introducing reggae and its Jamaican roots to a worldwide audience. Here, Cliff plays Ivan Martin, a poor country boy who goes to the city to make money, becoming a street rebel and a pop idol overnight. 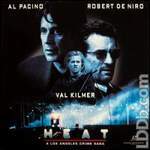 Thief Neil McCauley (Robert De Niro) and policeman Vincent Hanna (Al Pacino), both obsessed with their professions and determined to achieve big things, find themselves caught in a cat and mouse chase as McCauley sets plans in motion for one last heist before his retirement. When Hanna gets assigned to the case of the notorious thief, he dedicates himself to making McCauley's arrest the pinnacle of his career. Kenneth Branagh makes his feature-film directorial debut with this adaptation of Shakespeare's Henry V. After the Chorus (Derek Jacobi) introduces the play, young king of England Henry V (Kenneth Branagh) begins an angry dialogue with King Charles of France (Paul Scofield). The king's son, Dauphin (Michael Maloney), insults Henry and the argument escalates into war. In flashback, Henry is seen as a young man drinking in a tavern with Falstaff (Robbie Coltrane), Bardolph (Richard Briers), Nym (Geoffrey Hutchings), Pistol (Robert Stephens), and Mistress Quickly (Judi Dench). 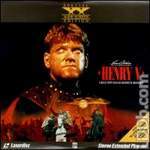 Meanwhile, Henry and his captain, Fluellen (Ian Holm), assemble an army and invade France. The French greatly outnumber the British troops, yet Henry leads them to victory in the Battle of Agincourt after delivering his famous St. Crispin's Day Speech. Eight-year-old Kevin McCallister is accidentally left home alone by his family while they fly off to France for Christmas vacation. Kevin loves his freedom, delightedly gorging himself on sweets and staying up late -- until he is forced to defend his home from a team of burglers. But Kevin learns that self-defense can be fun too, as he goes about flying to defeat the bumbling thieves. Macaulay Culkin returns as Kevin McCallister in this wintry flick, winner of a People's Choice Comedy Award. Instead of flying to Florida with his folks, Kevin ends up alone in New York, where he gets a hotel room with his dad's credit card -- despite problems from a clerk (Tim Curry) and meddling bellboy (Rob Schneider). But when Kevin runs into his old nemeses (Joe Pesci and Daniel Stern), he's determined to foil their plans to rob a toy store. A gumshoe's frenzied efforts to win back his fiancée while dealing with Elvis impersonators galore give new meaning to the word zany in this madcap comedy. Finally ready to get hitched, reluctant bridegroom Jack Singer (Nicolas Cage) and his soon-to-be-wife, Betsy (Sarah Jessica Parker), head for Las Vegas, where Jack loses everything -- including Betsy -- to professional gambler Tommy Korman (James Caan). Anne Bancroft also stars. Martin Ritt successfully transforms a Larry McMurtry novel into a contemporary Western set on a Texas ranch where Cadillacs, cattle and transistor radios threaten to displace time-honored cowboy ways. 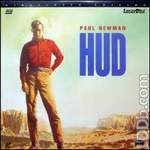 Paul Newman stars as arrogant, rebellious farmhand Hud Bannon, who's constantly at odds with his old-school father, Homer (Melvyn Douglas, who won a Best Supporting Actor Oscar). Patricia Neal also won an Oscar for her role in the film.